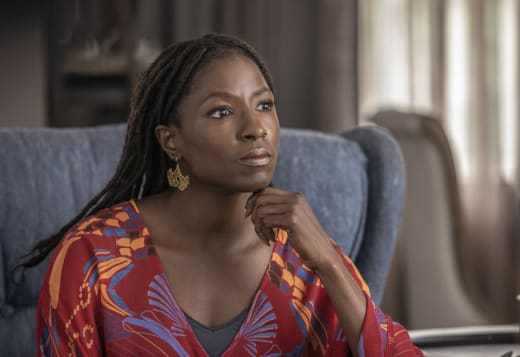 The truth finally came out about Nova and Remy on Queen Sugar Season 3 Episode 9, and I was relieved Nova did the right thing and told Charley face to face. But she certainly was pushing her luck. I couldn't believe that Nova and Remy were going out in public, holding hands and sharing sappy smiles where anyone could have noticed and shared it with Charley. Nova knew that if she continued down that road, Charley was going to hear about it sooner rather than later. Expectedly, Charley was hurt, and although she never raised her voice, her quiet, seething anger was almost worse. Charley: When I told you about the mill you let me know how wrong I was. Charley: It wasn't the first time but it will be the last. Nova: I didn't ask for this. Charley: You didn't walk away either. Nova: I will. I will if you want me too. Permalink: I will. I will if you want me too. But Charley didn't tell her to stop seeing Remy, she simply walked away, most likely because she needed time to process it all. Charley's earlier conversation with Mrs. Boudreaux was a reminder of the importance of sticking by family. She'd never want to see her own behavior mirroring theirs, yet it was difficult to give Nova and Remy her blessing. When Remy showed up on Charley's doorstep (and was I the only one holding their breath expecting that to be the police looking for Micah? ), I was both surprised and a little uneasy. Whatever you're doing with Nova you better be damned sure you know exactly what she wants because if you hurt her, if you make her feel even an ounce of what I'm feeling right now… Nova and I are forever. We're family. As for you, you will always be fleeting. I've always liked Remy, but I'm not sure how I feel about him now. He always judged Charley harshly, as though he somehow thought he was more righteous than she, and that bugged me. 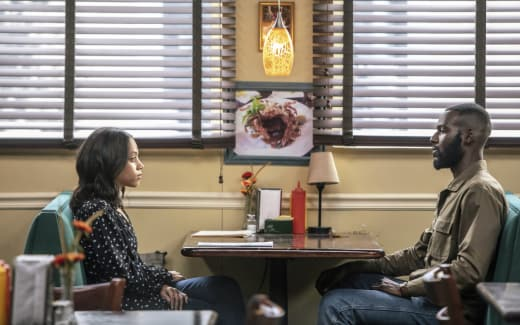 I can't say Remy isn't a good man, and he and Nova appear to be a good match, but when Charley told him he better know what Nova wants, I was reminded of how she doesn't want children, and Remy does. That's a conversation these two should have soon before things go any further, but I don't know if they realize that yet. Elsewhere, Charley was summoned to speak with Mrs. Boudreaux, and it was a tense discussion, to say the least. Mrs. Boudreaux: You are what I hear you are? Mrs. Boudreaux: Smart, tough, my kind of girl. Charley: I'm not your girl. Why am I here? Permalink: I'm not your girl. Why am I here? You could almost visibly see Charley bristle when Mrs. Boudreaux expounded on how appalled she was that thugs and criminals would be housed on her family's land. There's no doubt that she and Charley are coming at this from different points of view, but that doesn't necessarily mean that their end goal isn't the same. They both want to stop this jail from being built. But where Mrs. Boudreaux wants to wrest control of the company from her brother, Charley wants to bring the entire company to its knees. Of course, acquiring Colton Landrys' shares in the company would be a good place to start, and I'm curious to see if Charley can pull that off. With all the drama surrounding Charley, she had no idea what Micah and his friends were up to. The protest itself wasn't a bad idea. It could have brought attention to their cause, but now, no one will believe that the fire was accidental. Also, Micah needs to delete those photos from his camera, as they are now evidence that he was there when the fire started. These young activists looking to have their voice be heard will now only be seen as delinquents destroying private property. Somehow, I expect Prosper to be pulled into this story, but I'm not sure exactly how. Or perhaps it's more accurate to say that I hope he gets pulled further into this storyline. Ralph Angel's predicament was even more heartbreaking than all of the above. That Darla filed for custody wasn't a shock -- that's been coming for a while -- but that she wanted a 70/30 split was. The more independent and stable Darla becomes, the more she resents having to go through Ralph Angel to spend time with her son. There are several sides to this argument. Darla deserves to be a full-time mother now that she's clean and sober. Biology or no, Ralph Angel has been Blue's father for longer than Darla has been around. He would live or die for Blue, and hard work shouldn't preclude him from being a full-time parent too. But the truth is that Violet raised this child for longer than both of them. 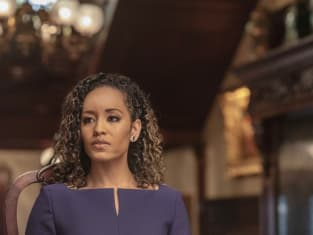 Ralph Angel needs to sit down with that attorney Charley got for him because this situation is complicated and as much as I feel sorry for Trinh, it is poor timing to be starting a new relationship. I also don't think that Darla wanting an outside mediator is a bad idea because these two devolve into petty bickering too often. The best idea would be if Darla and Ralph Angel could set aside their jealousy, insecurities, and anger. They've both screwed up in the past, but they can make it right by putting Blue first, coming at this from a place of love, and share the parenting 50/50. The only people who were happy were Hollywood and Violet, and thank goodness for that. I was so fearful that Mr. Strickland was going to pull his contract for Vi's Prize Pies after she shared that she had lupus, but Strickland turned out to be a better man than I ever expected. His only stipulation was that Violet be honest with him about her condition and her needs so that they can deal with it together. You don't find that type of integrity and kindness much anymore. Violet apologizing to Hollywood for not thinking more about his dreams was a wonderful moment, and he deserves to be put first more often. Folks like us, we get so used to working all our lives just getting by that we don't know what to do when getting by ain't our every day anymore. From the looks of that venue, their wedding will be one heck of an event, and I can't wait to be there. 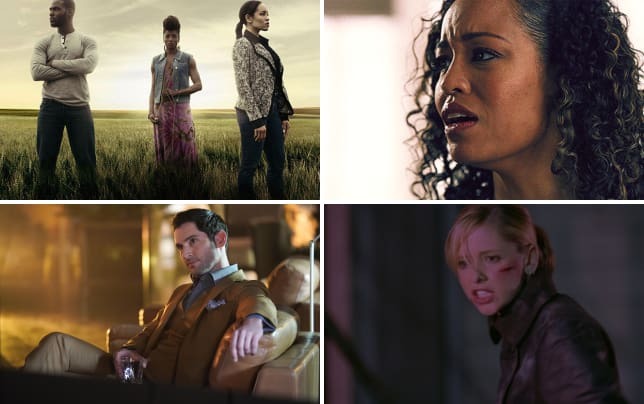 So what do you think TV Fanatics? Will Micah have to face the consequences for his protest gone wrong? Are Nova and Remy a match made in heaven or destined for heartbreak? Does Ralph Angel have a fighting chance against Darla for custody? And will Charley be able to use Mrs. Boudreaux to take down Sam Landry? 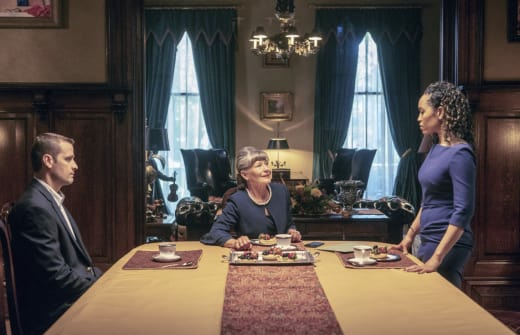 Check back for my review of Queen Sugar Season 3 Episode 10, and until then you can watch Queen Sugar online here at TV Fanatic. This family, they cheat and steal and bleed black people dry. They take everything and I'll be damned if I sit by while they do it again. Ralph Angel: I was thinking, maybe, we like a thing or something? More than work friends? Trish: Yeah, I’d like that. Permalink: More than work friends?